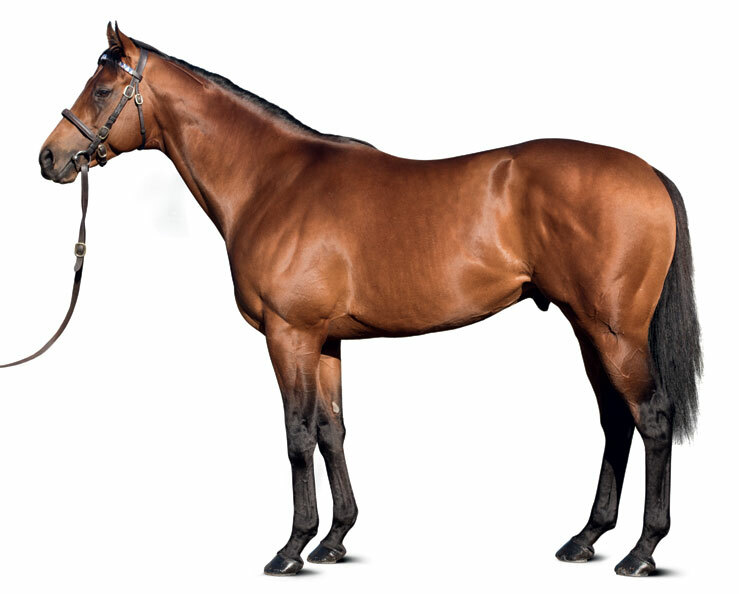 Classic-placed, G1-winning miler from the immediate family of top-class stallions Shamardal and Street Cry. Covered 274 mares in his first two books, with 84% closely related to Stakes horses. By INVINCIBLE SPIRIT (1997) Sprint Cup (G1), Duke of York S (G3), etc. Sire of 1,662 foals aged three and up, including TERRITORIES, CHARM SPIRIT, EQTIDAAR, FLEETING SPIRIT, HOORAY, KINGMAN, LAWMAN, MAGNA GRECIA, MAYSON, MOONLIGHT CLOUD, NATIONAL DEFENSE, PROFITABLE, ROSDHU QUEEN, ROYAL MEETING, SHALAA, SIGNS OF BLESSING, VALE OF YORK, YOSEI, ZEBEDEE, etc. TERRITORIES (c Invincible Spirit) G1 winner, see Race record. GREEK COLONY (c Pivotal) 5 wins (6f-8f), 3 to 5. ITALIAN (g Pivotal) 2 wins (9f) at 3. PIRANDELLO (c Invincible Spirit) 3 wins (6f-6½f) at 3 and 4, 2018. Taranto (f Machiavellian), Black Type placed, see above. GRAIKOS (c Rainbow Quest) Prix de Conde (G3). PARTHENON (c Dubai Destination) Glasgow S.
PAXIMADIA (c Commands) Sandown Guineas (G2), Carbine Club S (G3), 3rd TJ Smith S (G1). STREET CRY (c Machiavellian) Dubai World Cup (G1), Stephen Foster H (G1). Champion sire. HISTORIAN (f Pennekamp) Prix Rose de Mai. SHAMARDAL (c Giant’s Causeway) European Champion two-year-old, European Champion three-year-old Miler, Prix du Jockey Club (G1), Poule d’Essai des Poulains (G1), Dewhurst S (G1). Champion sire. GEOFFREY CHAUCER (c Montjeu) Beresford S (G2). THRONUM (c Snitzel) Stanley Wootton S (G2), Rosebud S, 2nd William Reid S (G1). Territories' first northern hemisphere crop are yearlings of 2019. Territories' first southern hemisphere crop are foals of 2018. 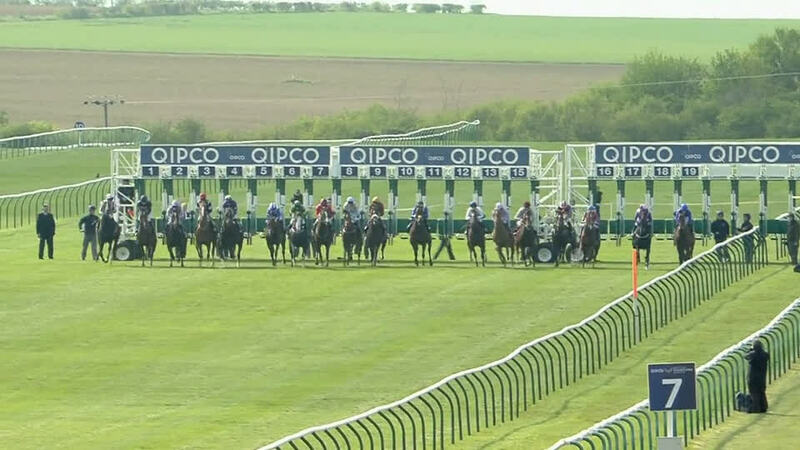 Conditions race, 6f, Chantilly, beating Souvenir Delondres, Aimee. Prix Jean-Luc Lagardere - Grand Criterium (G1), 7f, Longchamp, to Full Mast, beating Gleneagles, Burnt Sugar, War Envoy, Aktabantay, Citron Spirit, Nucifera, The Wow Signal. Prix la Rochette (G3), 7f, Longchamp, to Full Mast, Nucifera, beating Romeo Lima, Kenfreeze. Prix Jean Prat (G1), 8f, Chantilly, beating Dutch Connection, Sir Andrew, Kodi Bear, Il Segreto, Mr Owen, Full Mast, Aktabantay. Prix de Fontainebleau (G3), 8f, Longchamp, beating Karar, The Comissioner, Green Sweet, Leader Writer, Kenfreeze. 2,000 Guineas (G1), 8f, Newmarket, to Gleneagles, beating Ivawood, Bossy Guest, Celestial Path, Home Of The Brave, Dutch Connection, Moheet, Ride Like The Wind, Cappella Sansevero, Code Red, Kool Kompany, Estidhkaar, Intilaaq, Room Key, Ol’ Man River. Prix Jacques le Marois (G1), 8f, Deauville, to Esoterique, beating Wild Chief, Lightning Spear, Toormore, Karakontie, Belardo, Estidhkaar, Spoil The Fun. Prix du Palais-Royal (G3), 7f, Deauville, to Attendu, Esoterique, beating Dhevanafushi, Love Spirit. Prix Messidor (G3), 8f, Maisons-Laffitte, to Vadamos, Mr Owen, beating Shutterbug, Dariyan. Territories, winner of the G1 Prix Jean Prat and second to Gleneagles in the 2,000 Guineas, will take up stud duties at Dalham Hall Stud in 2017.